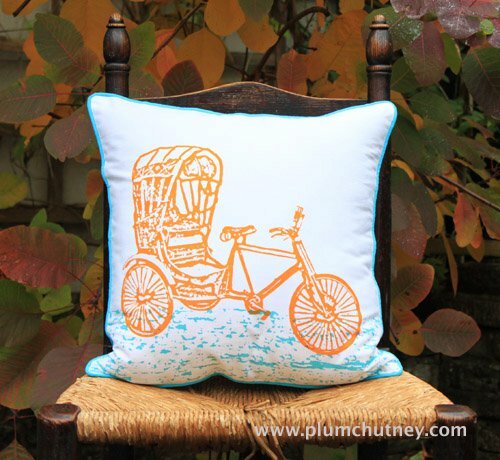 From the instant I saw the products by Plum Chutney I have been captivated. 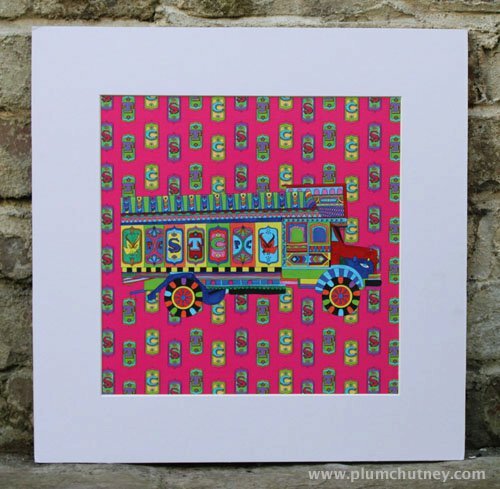 I wrote to the founder Anita Mackenzie, and today I am delighted to feature Plum Chutney on My Dream Canvas. 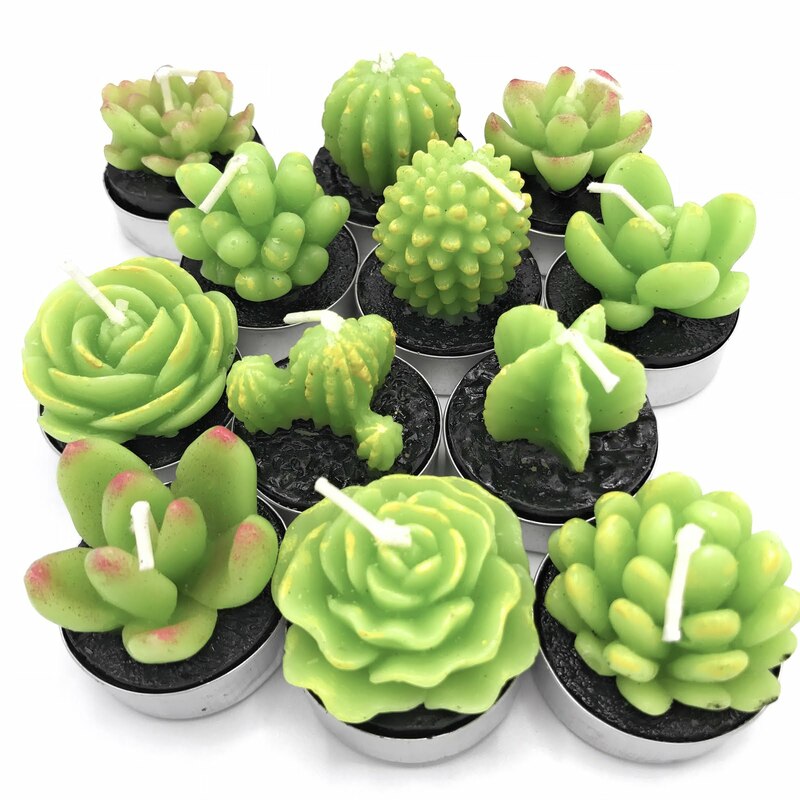 Their eye catching products are unique, fun and make a statement. Plum Chutney is an online home store based out of Britain. I will say no more..... as I give you Plum Chutney in Anita's own words! "I was born in India, grew up and studied there and most of my early career as a marketing and brand professional was based there. 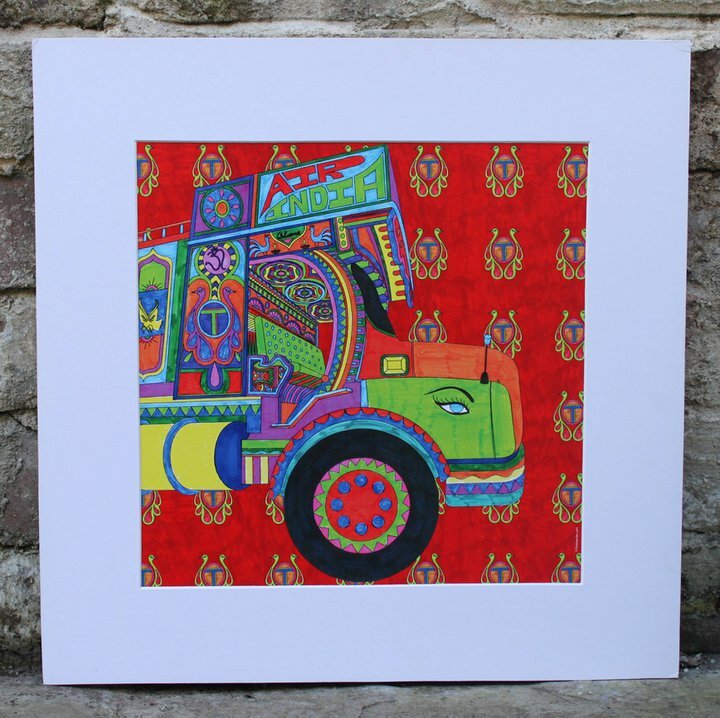 I absolutely love the 70mm, quirky, chaotic side to India but since moving to the UK in 2005 if anything this passion for all things Indian has increased. Living in Britain has also been a fantastic exploration of India's colonial past but from the "Other side" as it were. For me, one of the biggest discoveries was how the online space was slowly becoming all about innovative design by creative, independent, designer makers. So much that was new and cutting edge was being unveiled online rather than in big high street stores. Combine this with the fact that Britain has had a long standing and enduring fascination for all things Indian.....in my gut I knew I had stumbled upon an interesting opportunity. 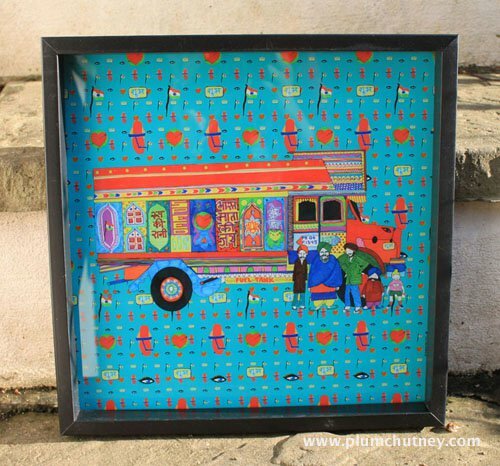 All the images I had grown up loving...... rickshaws, colourful trucks, striking people and costumes, street scenes, maharajahs, autos, ambassadors - all of it had the potential to drive original design for stylish accessories for the home. 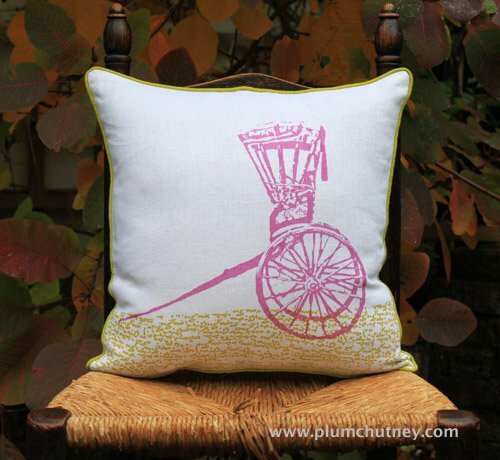 With that basic inspiration and loads of help from my sister who has her own designer furniture business in India, Plum Chutney was born. Plum Chutney is a very personal attempt to showcase my love for all things Indian. All this while paying homage to the graphic and quirky approach to design so well developed in Britain. I have worked with multiple designers to develop various collections. I also source from Indian designers/companies that have a complementary design philosophy." love the bright tropical colors! Such a unique find Anu and I too loved the first truck and the cushions. Love the bright colors, what a great find. Hi! Now following you as well :D Such beautiful pillows. I also really love those silver rose napkin holders. Gotta add those to my Christmas list! Love there pillows- and their floral throws too!